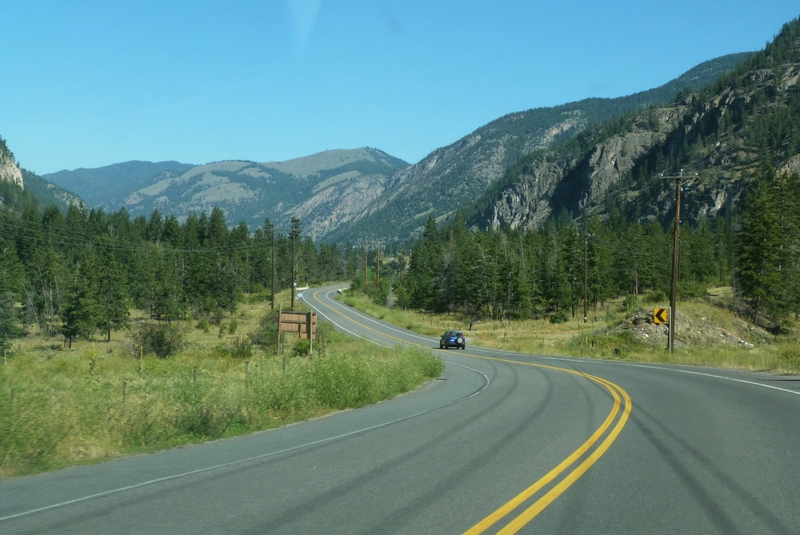 Leaving Waterton Lakes, I set my sights on the Crowsnest Highway nestled in the lower Canadian Rocky Mountains of British Columbia. But first, I have to face the constant, whipping winds off the prairies of Alberta. 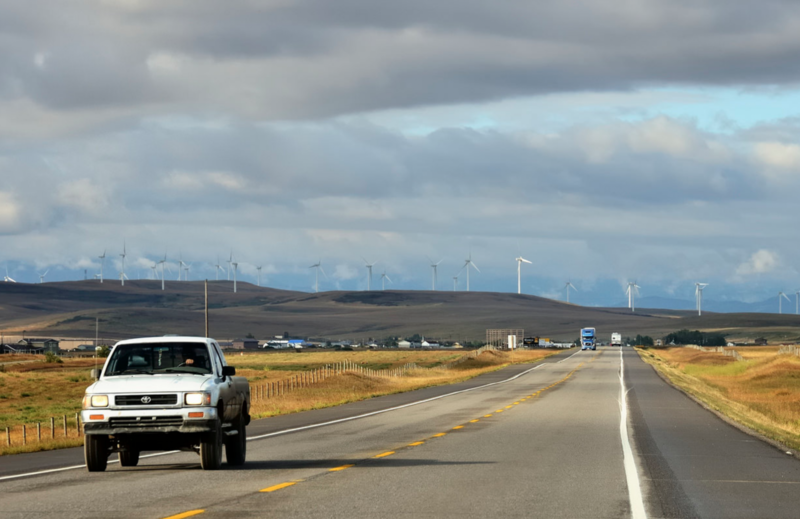 Combined with a non-stop stream of double tractor trailers, it was white knuckle from Waterton all the way to the small town of Blairmore where the mountains began and the wind subsided. While this part of the journey was only 110 km, it felt like 600. Those dreaded prairies with their surprise gusts of wind and mile after mile of straightway were boring and exciting at the same time. You can see the mountains of BC in the distance, but they took way too long to get closer. Eventually, of course I was off the prairie and into the foothills of the Kootenay Mountains. I was so focused on riding, I didn’t stop to take any photos. So, here’s what the landscape looks like courtesy of some user photos from flickr. 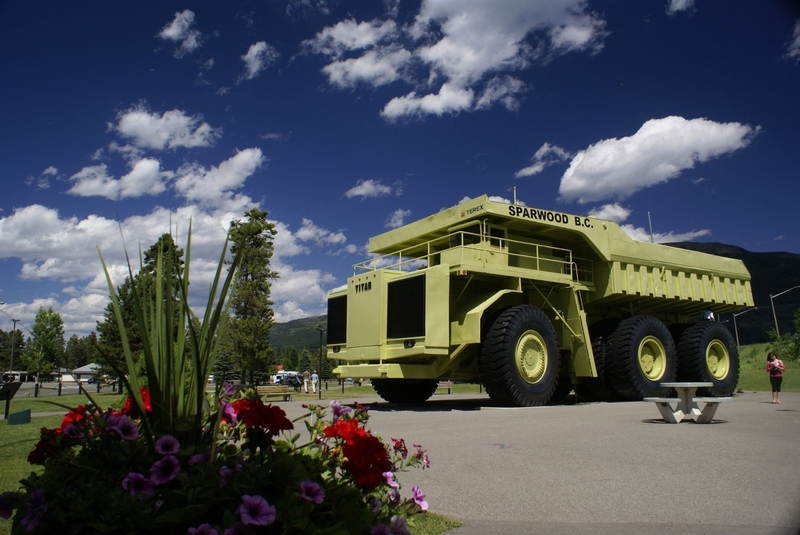 In Sparwood, BC you can see what used to be the largest dump truck in the world, this Terex 33-19 Titan. Serving for 13 years hauling coal, the city purchased the Titan, the only one of it’s kind, and put it out as a tourist attraction. The truck has since been surpassed by larger trucks, but the huge lime green truck remains an interesting roadside attraction. After Sparwood, the road follows the Elk River through many small towns, the quaintest of which is Fernie. The town was burned to the ground twice in four years in the early 1900s. Many of the buildings in the downtown core date from the last rebuild in 1908. Fernie is also the hometown of Rush guitarist Alex Lifeson. 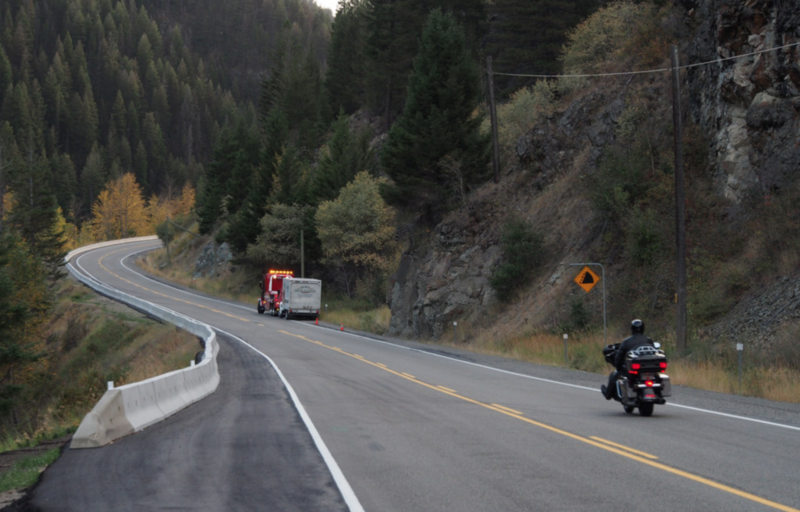 After this section of Crowsnest Highway, we start to climb in to what is known as the Kootenay Rockies. Bailing from Crowsnest Highway proper, I head up Highway 3A which will go to the Ainsworth Hot Springs. I’ll stay the night there. 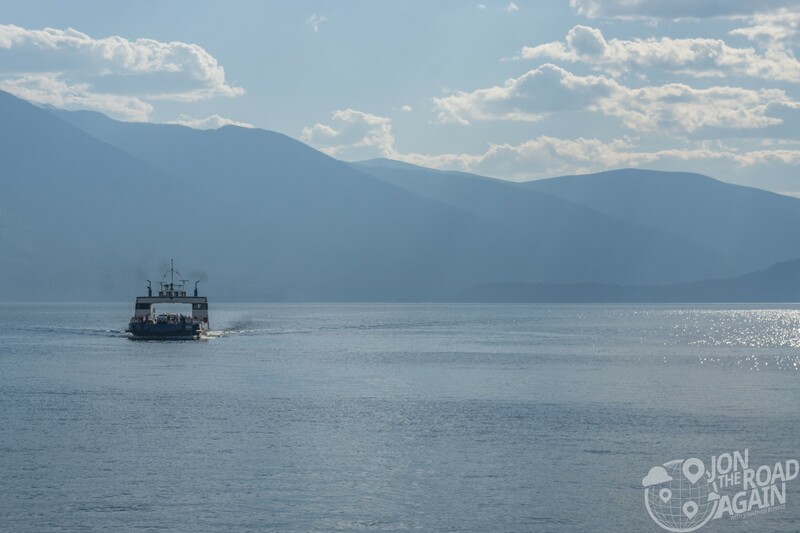 Highway 3A is long, scenic, twisty, and you get to cross a beautiful lake on the free Kootenay Lake Ferry. I’ll keep it short here, but you can read more about both of those places in my linked blog posts. 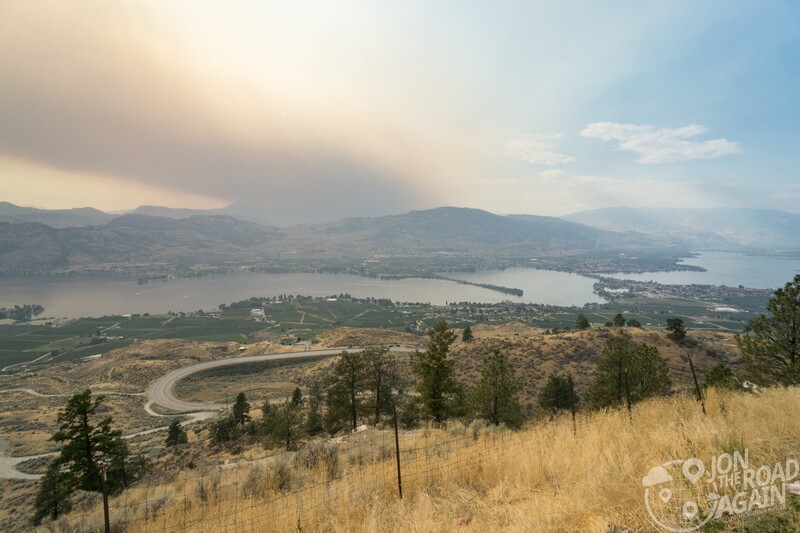 I almost missed one of the most beautiful towns on the entire highway – Osoyoos, BC. In my cross Alberta-British Columbia journey, I stopped for lunch at the Wooden Spoon Bistro in Grand Forks, BC. I was trying to work out what road I wanted to follow to get back home. 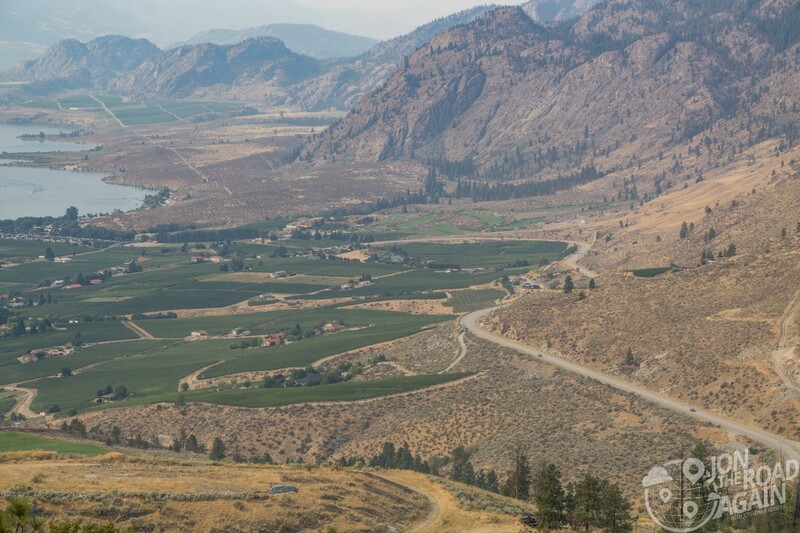 Do I take the direct route and cross the border a few miles after Grand Forks or do I keep riding BC a little more and cross over at a town I’d never heard of called Osoyoos, BC. I could see the road squiggled a lot on Google Maps, but some local insight would be nice. 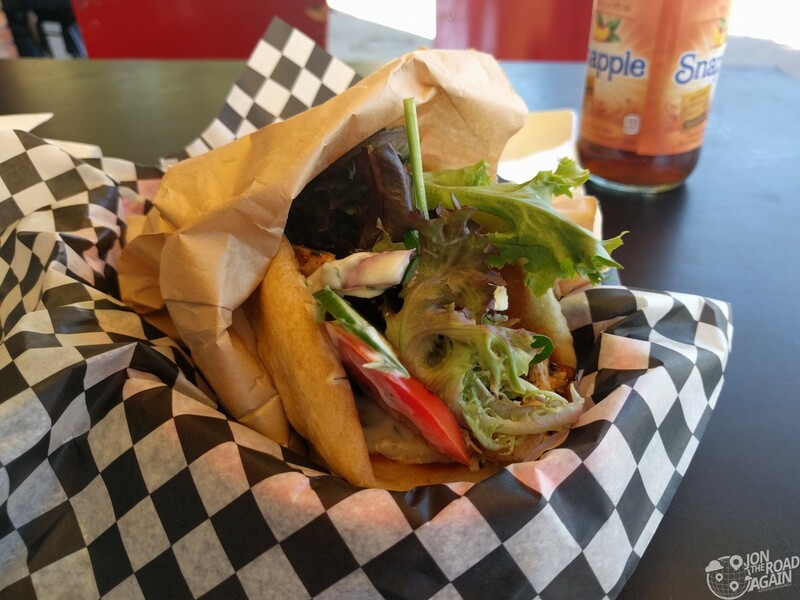 Plus I was distracted by this oh-so-good gyro. Okay, this isn’t a food blog. As the waitress brought me my bill and asked if there was anything else, I asked her what the highway was like after here. She noticed all my gear and said that her dad is a rider, too. She clued me in on section of road ahead that her dad sometimes takes off and rides just for the road. And so, my journey to Osoyoos was on. The road here, and the view, is simply incredible. This is Anarchist Mountain, which rises nearly 5,000 feet above the floor of the Okanaogan Valley below. 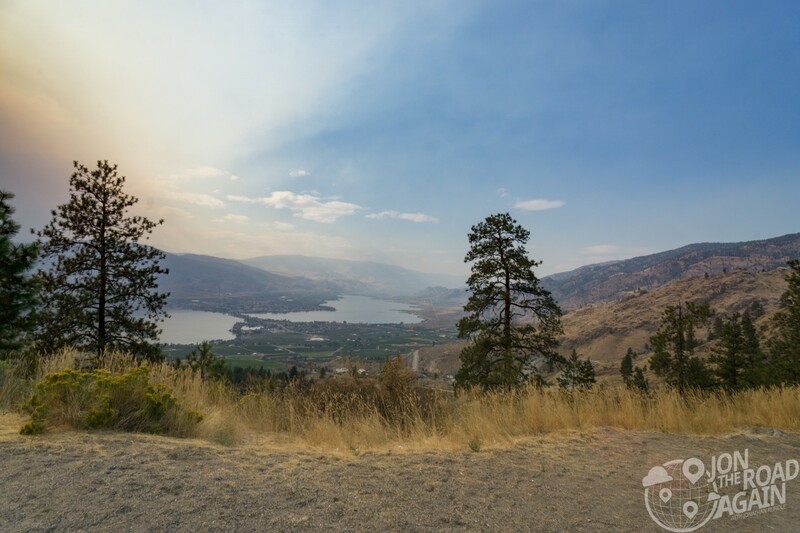 The town of Osoyoos sits the shores of, you guessed it, Osoyoos Lake. Now, as I mentioned, this is a peach of a road. I wasn’t going to ride it once and cross the border back to the US, no no no. I went up and back down this mountain three more times. 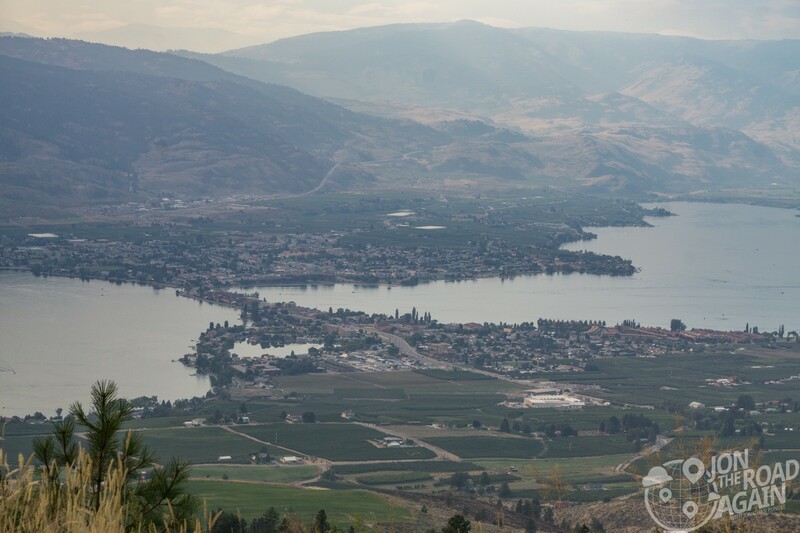 Osoyoos is a hot tourist town for nearby Canadians. The lake is the warmest freshwater lake in all of Canada, usually at 75 degrees Fahrenheit in the summer. They don’t get a lot of rain, winters are mild, and summer days are hot while the summer night is cool. It looks like a fun place with lots of shops and restaurants downtown and wineries a little further out. 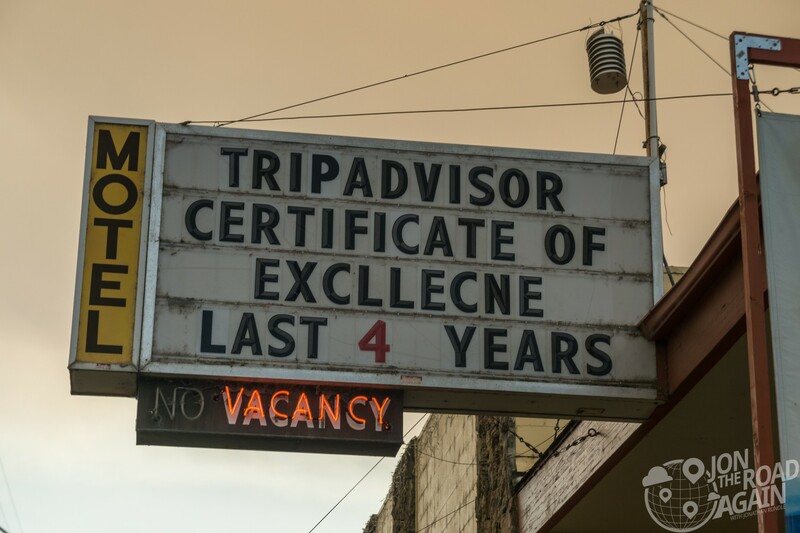 Back into the US, the first thing I notice was this sign outside of the Camaray Hotel which gave me a good enough laugh I had to circle back to take a photo. Congratulations on your award, guys! Beautiful! Looks like a good ride!